"Offering consultations in English, Portuguese, and Spanish"
Welcome to the Law Office of Brown & Barbosa, located in Falmouth, Massachusetts. Brown & Barbosa provides the perfect blend of experience and professionalism to offer its clients quality legal representation and personal service. 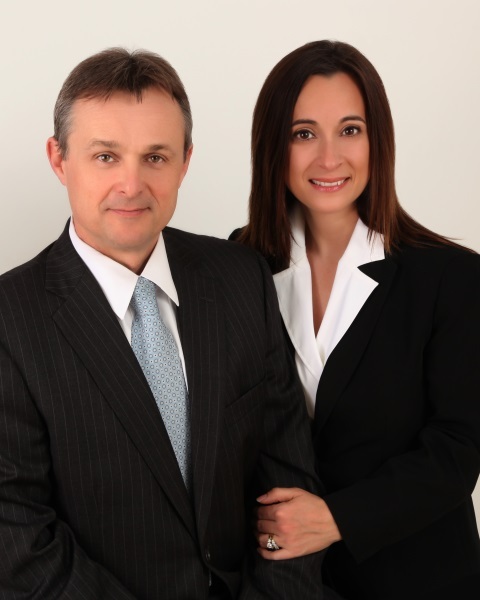 Brown & Barbosa handles a full range of family law matters. We can help you through the difficult process of a divorce or separation, ensuring you get fair financial treatment and your custody issues resolved favorably. We also handle child support matters, help secure visitation rights, and advise on other matters, including adoption, premarital agreements, and paternity. Our office represents individuals who have been injured or killed due to the negligence of others. We provide a solid legal framework to meet all of our clients’ needs in such matters as motor vehicle accidents, premises liability, slips and falls, and injuries caused by the negligent design and use of a product. At Brown & Barbosa, we seek full and fair compensation or your injuries, whether through settlement or trial. We work with our clients to recover benefits for injuries sustained in the workplace. Our attorneys work with your employer and its insurance company to make sure you get all benefits you are entitled. We also help families receive any death benefits owed when a loved one is killed on the job. We serve clients throughout Cape Cod, Martha’s Vineyard, Nantucket, New Bedford and eastern Massachusetts. Our criminal defense practice vigorously defends all kinds of criminal charges – from minor traffic violations to juvenile offenses to felony drug arrests and restraining order matters. We handle every phase of a criminal case, including arraignments, preliminary hearings, trials, and appeals. We have extensive experience defending OUI and other alcohol-related charges. Our firm represents both buyers and sellers in the purchase and sale of residential homes, including drafting and negotiating the purchase agreement, ensuring good title, and closing proceedings. Our business clients also enjoy our extensive experience in commercial real estate transactions and the purchase or sale of businesses. We handle a variety of estate planning matters, including planning for the distribution of an individual’s property at his or her death. We understand how to utilize existing accounts, insurance, and property in order to create wills, living wills, and trusts so as to gain the maximum benefit of all laws, while, at the same time, carrying out our client’s wishes. We also work with our clients to establish guardianships or conservatorships. Brown & Barbosa, P.C. Attorneys serve clients and families throughout the Commonwealth and the Counties of Barnstable, Dukes, Nantucket, Bristol and Plymouth Counties in Massachusetts, along with all the communities of Cape Cod and Martha’s Vineyard which includes, Falmouth, Woods Hole, Hyannis, Mashpee, Bourne, Sandwich, Cotuit, Marston Mills, Centerville, Osterville, Yarmouth, Dennis, Brewster, Harwich, Chatham, Orleans, Eastham, Wellfleet, Truro, Provincetown, Tisbury, Vineyard Haven, West Tisbury, Chilmark, Menemsha, Aquinnah, Oak Bluffs, Edgartown, Gosnold, as well as Wareham, Plymouth, Fall River and New Bedford. Copyright © Law Office of Brown & Barbosa. All rights reserved.